Rivoli Earrings are jubilant. 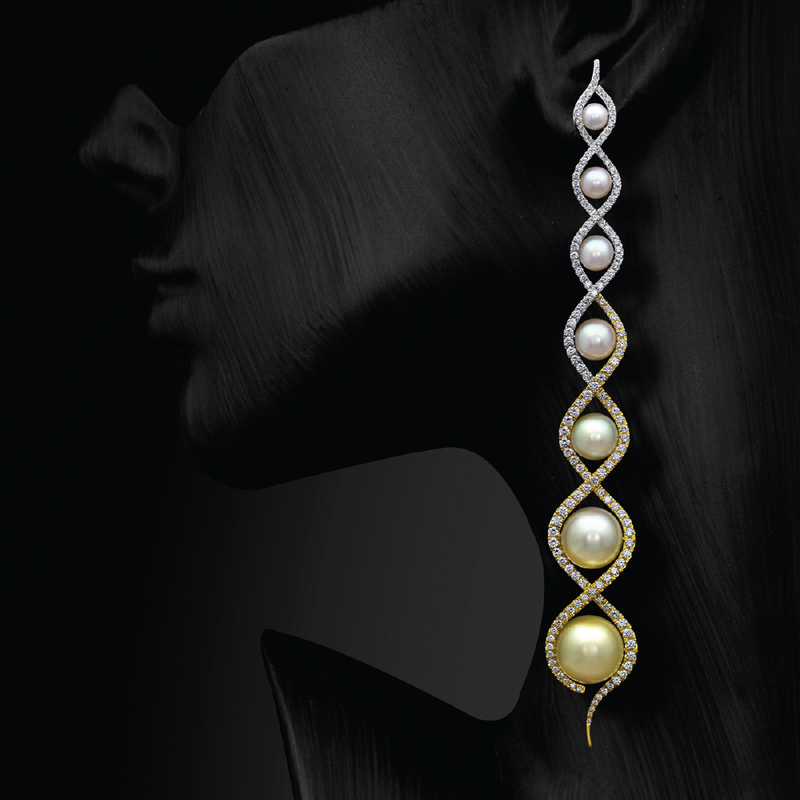 This one-of-a-kind design displays a striking, color-gradient array of golden South Sea and créme to white Akoya pearls. Its curvaceous setting is composed of 4 tones of gold and sparkles with 324 pavé-set diamonds, totaling 4.45 carats. 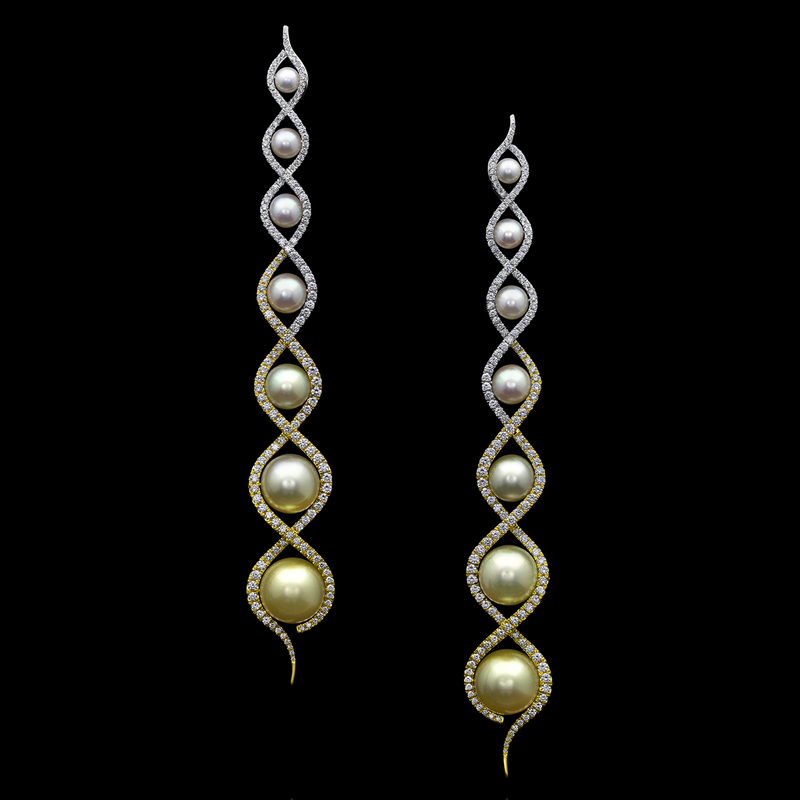 During their 2018 International Pearl Design Competition, the Cultured Pearl Association of America awarded Rivoli Earrings the prestigious President’s Trophy. This one-of-a-kind piece is for sale. For purchase call (949) 715-0953 or use our contact form below.